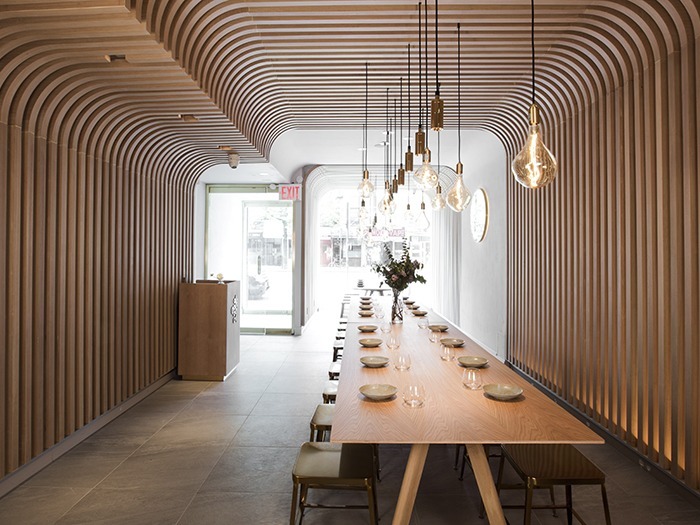 Hunan Slurp is a contemporary Chinese eatery in New York’s East Village opened by Chef Chao Wang, who seeks to bring his hometown flavours to the city through his artistic vision. 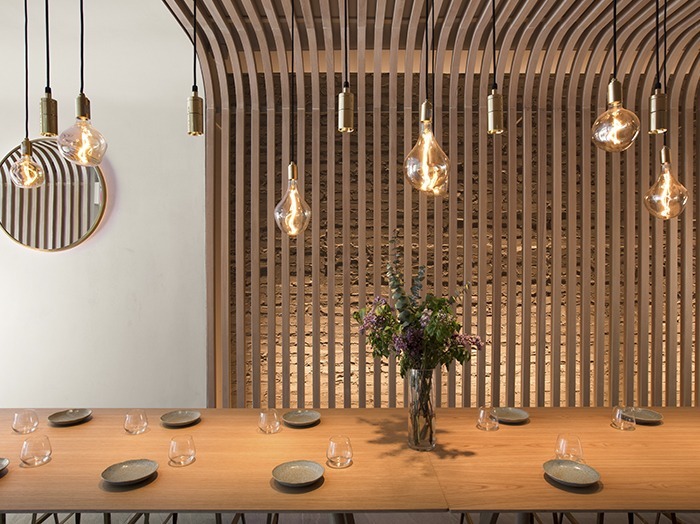 Wang’s love for his hometown culture is visibly channeled through the restaurant’s interior presentation. The logo is the character “slurp” in Chinese, slightly tweaked with a circle representing a bowl, and a winding line next to it portraying a noodle. The interior décor is contemporary with a soft wooden finish. Wang recruited New Practice Studio, who also designed the interiors for Tang Hotpot and Hao Noodle by Madame Zhu’s Kitchen. 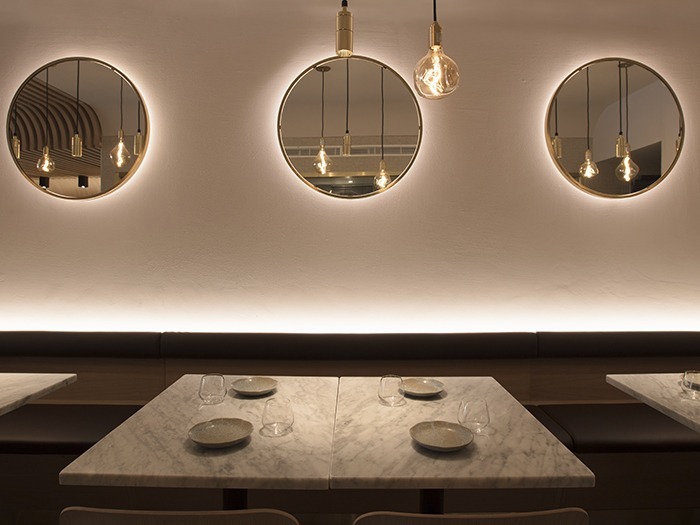 At Hunan Slurp’s storefront, a French window frames the light-filled space. Pale slats span from the ceiling to the floor, a rendition of the elegant shape of the noodle. Exposed lights, from the lighting design studio Tala’s Voronoi range, hang above the communal area, adding a rustic touch to the contemporary setting. The dining area is largely occupied by two communal tables, with four additional individual tables on the side. The minimalist design elements echo Chef Wang’s wish for going back to the heart of the Hunan food culture—eating authentic meals and have genuine conversations.